Born at Romsey, Hampshire, the son of a prominent Independent minister and preacher, Berry entered the Congregationalist Homerton Academy in Hackney in 1799 to prepare for the Ministry, though he also showed promise in science, particularly chemistry and mathematics. In 1803, at the age of only twenty, he was elected Minister of the Unitarian Great Meeting, Leicester, serving to his retirement 56 years later in 1859. In his Music and Friends William Gardiner, a founder-member of the Leicester Lit & Phil. who has been the musical director of the Great Meeting during the earlier part of Berry’s ministry, reported that Berry he had a conciliatory and appealing personality, while his preaching, which dealt with issues of daily life in pithy and studiously simple language, was greatly admired. Gardiner also said that Berry had a fine singing voice, and under his Ministry the Great Meeting became well-known for its music. Though he was very reluctant to commit his views to print, it was recorded that his doctrinal lectures reflecting Unitarian themes such as opposition to the doctrine of Original Sin and on the contemporary corruption of Unitarian Christianity compared with its original values, attracted large and appreciative audiences. He also conducted a successful school in the town from 1808 to 1838. In 1810 Berry married Ann Paget whose brother Thomas Paget (1778-1862) ran the family bank in Leicester. Paget led the radical reformers who took control of the traditionally Tory town for several decades following the 1835 Municipal Corporations Act, and Berry himself became active in reform politics. 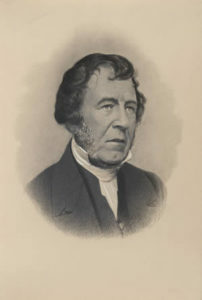 He was one of the founders of the Leicester Literary and Philosophical Society in 1835 and of the Society’s Museum, later the New Walk Museum, and several lectures to the Society are noted in the 1884 special volume of the Transactions on the early history of the Society and in its Centenary Book (1935). Berry died at the house of one of his daughters near Liverpool in 1877, but was buried in the graveyard of the Leicester Great Meeting. Presidential Addresses: Those recorded include ‘Etruria’ (October & November 1843), ‘The Character of Richard III’ (October 1844), and ‘The Ictis of Diodorus Siculus’ (November 1845).